Recently I came across this wired problem in itunes after updating my itunes. After completing my itunes update, I tried to connect my iPhone 4s to itunes. But all of a sudden itunes didn’t recognize my iPhone. If you are facing similar issue like this, then here is a solution for it. I know it is not a problem with my USB cable. Because the cable is working fine before itunes update but after fresh installation of itunes it suddenly stopped to recognize my iPhone on itunes. Moreover, charging is working fine without any problem. If you are facing similar issue, then there are many reasons could cause such problems. Here are the possible solutions to fix itunes detection problem which worked for other users as well as for me. In this step we are going to check any new updates are available for your apple device which includes iPhone, iPad and iPod. 1. To check this, first close itunes and now connect your Apple device or iPhone to your computer through connecting cable. 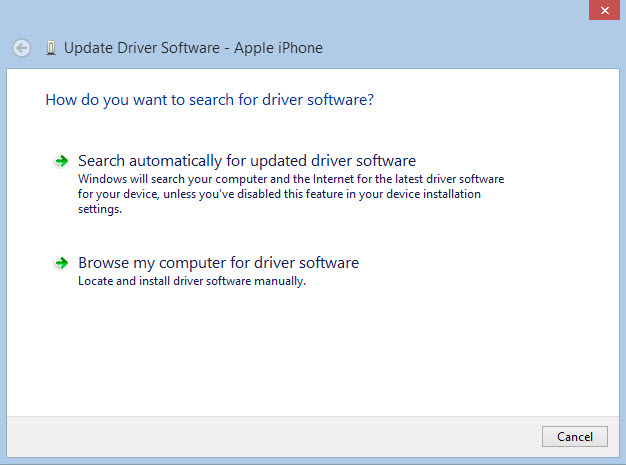 It will search for any new apple drivers are available or not. 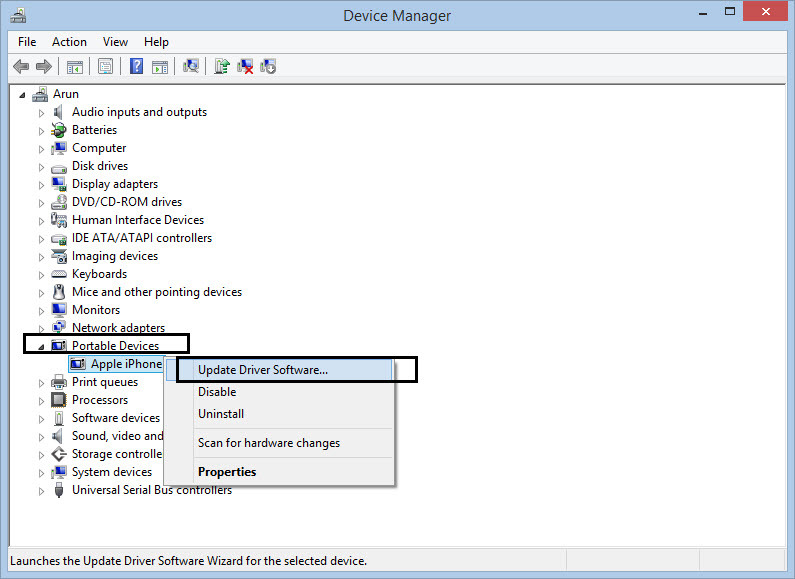 If it found it gives install option, if it is already updated then shows “The best driver software for your device is already installed” message. Now you close all the opened windows and try launching itunes window to check whether your iPhone/iPod is connected to itunes or not. Not worked? then go ahead for next method. Many users have fixed there problem by doing this method. 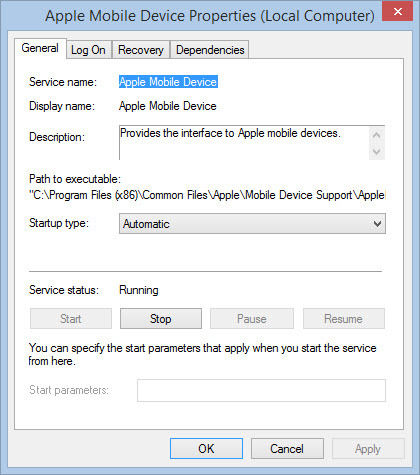 In this method we are going to restart the apple mobile device service. To open “Apple Mobile Device” service, launch run prompt by pressing win+R key, now in that prompt type services.msc and press enter. 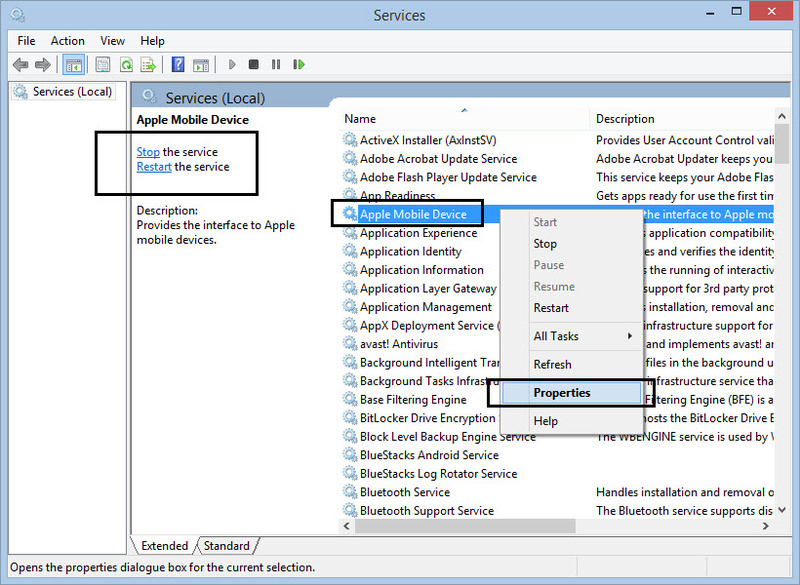 In that opened Services window look for “Apple Mobile Device“. Select that and right click on it, in that option choose Properties. Now in Properties windows click on General tab, in that tab look for “Startup type” here you set that for “Automatic” option. Now click Apply and Ok button. After doing that we need to restart that service by clicking “Restart the service” option which is available on left side of the services window. Now check your itunes whether it is detecting iPhone/iPod/iPad on it. Still not working? Try another method. I tried this method first and it worked for me. What I did is, I completely uninstalled itunes and all apple related product on my windows OS and installed latest version of itunes. 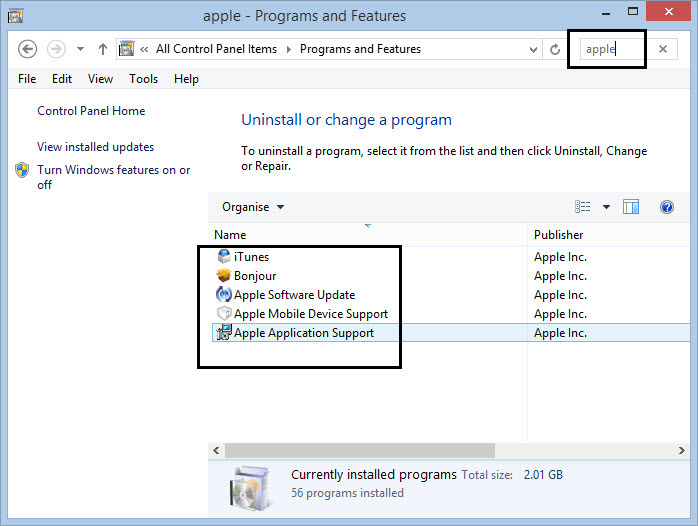 The complete uninstall doesn’t means that just uninstalling itunes through control panel, we need to remove all the itunes entries in the registry all well. Let’s see how to completely uninstall itunes from your computer. Similarly, remove this folder or entry of below address too. 6. Now check this path if any files left over. If any files present delete it. Now we have have completely uninstalled itunes from our system. It’s time to restart our PC and install latest version of itunes on your computer. After trying this method my iPhone started detecting my iPhone 4s on iTunes. I hope this method works for you as well. Even after trying all the above method still not detecting your apple device on itunes? then you might have look on your USB cable. If your usb cable is not in good conduction then that might be causing such issues. Check whether your usb cable is working for charging by connecting it to your PC. I found some users case where charging is working, but the same cable is not working for connecting iPhone to itunes. After replacement of that damaged usb cable now itunes started detecting. In my case I have two cables, one is damaged and one is brand new. I tried with brand new cable to check whether the problem is with cable or not. But the result is same. Now I decided that the problem is not with cable instead it is with software itself. If you don’t have two cables then don’t worry just skip this test and try all above methods to fix it. If it got fixed then OK. If you are still facing same problem even after testing all above methods means, you need to try new cable. Buy new cable or try any of your friends cable to check your cable. These are possible fixes which is working for other users and as well as for me; to fix itunes not detecting our apple device problem. So which solution worked for you? Just leave the comment. the third option helped me. The third option worked for me. Thanks a lot. Please come up with more solutions for Apple product.